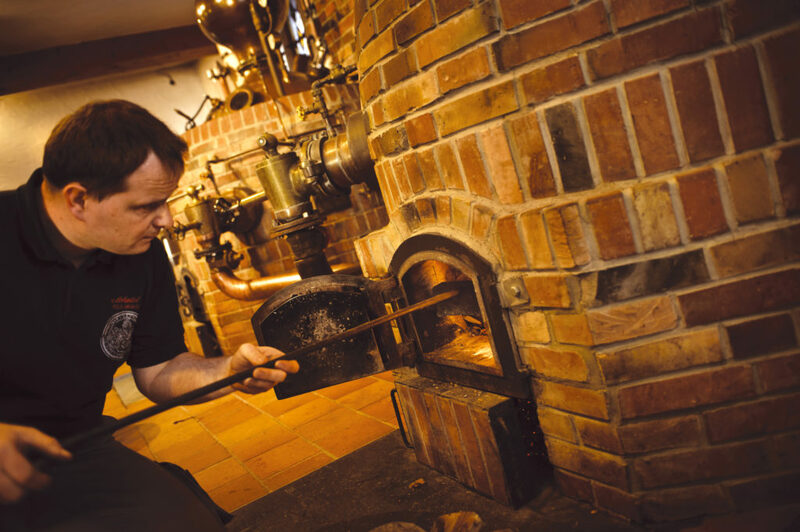 The distillery 'Old Time' was built by Scheibel as an ode to the beautiful and ancient craft of traditional firing after old design drawings and 1990 put into operation. 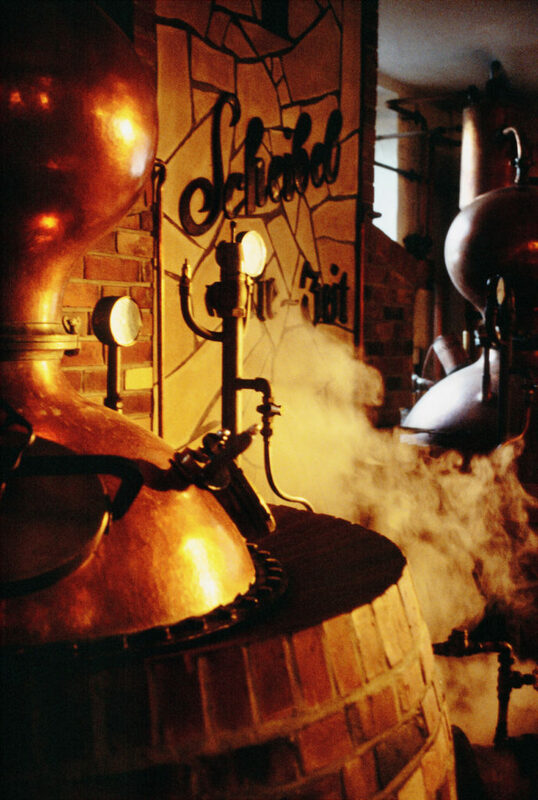 It is the counterpart to our modern distillery ,New time' and consists of two stills, each containing 320 liters. One for the raw, the other for the Feinbrand. The small masonry stills, which are surrounded by a water bath, are still fueled with wood, as they were a hundred years ago. 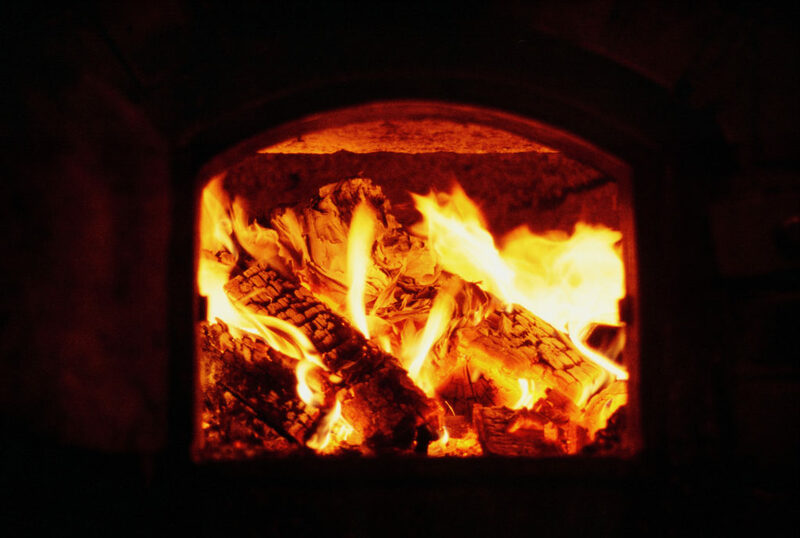 "Every fire has its own way of life, and the trick is to keep it at bay and continue to cheer, if necessary. If you succeed, you will be rewarded with a wonderful result, "enthuses Michael Scheibel. 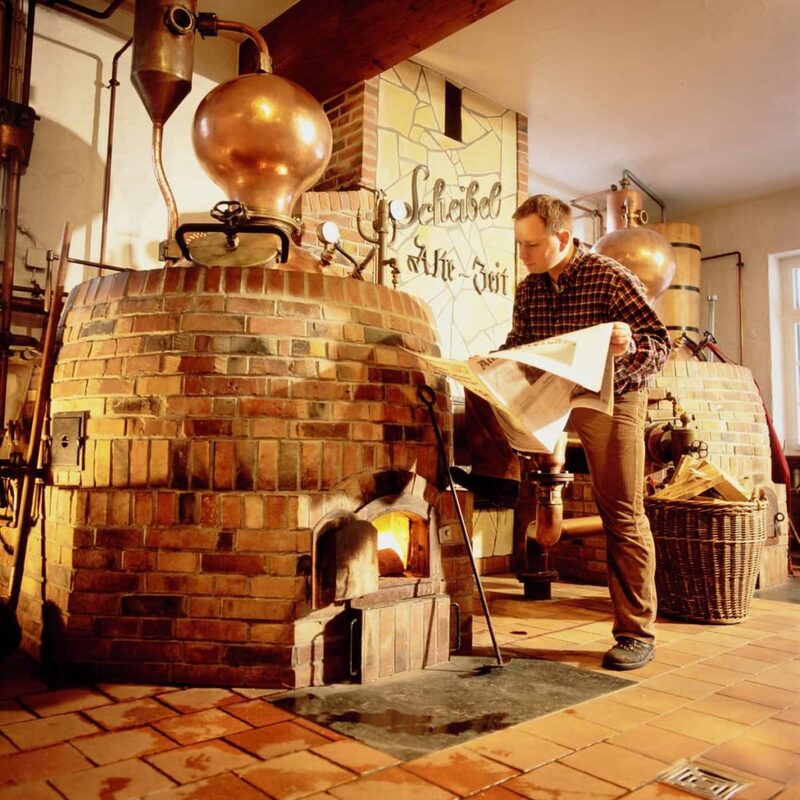 "To my knowledge, we are the only commercial distillery in Germany that still produces fires in this way. And that is certainly because the process takes significantly more time and is more complicated than modern distillation techniques. " Whether wild raspberries from the Carpathians, Zibärtle of orchards from the Ortenau or mirabelle plums from Nancy, rare, rare fruits form the basis for the strong character distillates of the 'Old Time'. 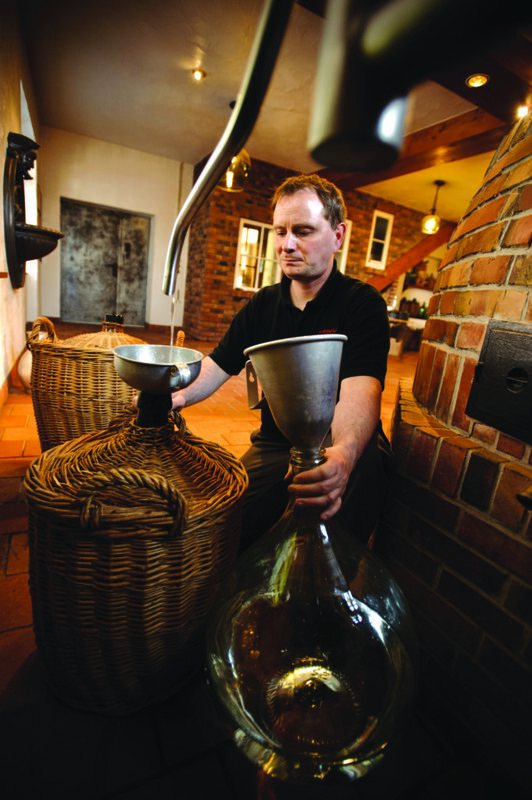 After fermentation follows a slow and gentle distillation over wood fire, it is always distilled twice. First the raw brandy, because the fine brandy. "The raw firing is not processed directly, it will be stored in our warehouse for up to four weeks. Only then does the second burning process take place ", explains Michael Scheibel. The fine grinding receives the Feinbrand the, old time 'with the storage, There, the fires come to rest and can develop their full aroma. An unusually long maturation time favors the development of the flavors, which are unique in taste and aftertaste. "It's never possible to tell exactly in advance how long a fire will last, because every distillate is different. Time is the key here as well, you should never get impatient, "said Scheibel. "Ultimately, however, the perfect interaction of fruit, production and storage, ie the DNA of the fires, is decisive for the final result."